Following the attack at Pearl Harbor, the United States entered into war with Japan in the Asiatic-Pacific Theater of Operations. In the ensuing time frame, a young Pleasanton man, Ralph W. Brite (deceased), enlisted in the United States Air Force (USAF). He was an older brother of J. Taylor Brite, Pleasanton, who also chose to enlist in the USAF later. Ralph was known to be a good bombardier in Pacific operations. He was so well respected in that duty that on November 29, 1949, he was honored with the Distinguished Flying Cross. This came through authority of the President of the United States of America. Ralph was noted for extraordinary achievement while participating in aerial flight bombings. In this issue of the Pleasanton Express, Capt. Ralph W. Brite is being noted for what he did for his country. Robert Lee Bobbitt, Jr. and his father, along with Ralph W. Brite were practicing law as partners in the firm of Bobbitt, Brite & Bobbitt in San Antonio. Robert Bobbitt Jr. said, “One day when my father, Ralph Brite and I were practicing law, Ralph casually mentioned to my father and me that he had received a letter from the Department of the Air Force notifying him that it had reviewed his record as a B-24 bombardier in the Southwest Pacific during World War II and concluded that he should be awarded the Distinguished Flying Cross. The result was that seven o’clock on a Saturday morning about a month later, all of us were at the parade grounds at Lackland Air Force Base. In front of us, on a platform, were the Commanding General and Ralph (whose uniform fit him very well). Across the way was the Air Force Band of the West which played appropriate music. Then the General read Ralph’s citation, (a military dispatch to meritorious performance of duty). Ralph Watkins Brite was born June 27, 1917. While in the USAF during World War II, he flew 42 missions against the enemy in the South Pacific. Ralph was a school teacher in Cross, Texas. 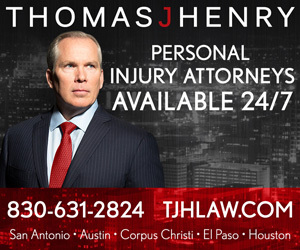 He became a noted Attorney at Law in San Antonio for over 50 years and served one term as Chairman of the State Bar of Texas. Ralph died August 8, 1993 and is buried in the Cross, Texas cemetery. Captain Ralph Brite being pinned with Distinguished Flying Cross.